This is a port of the famous icon set for linux “Faenza”. 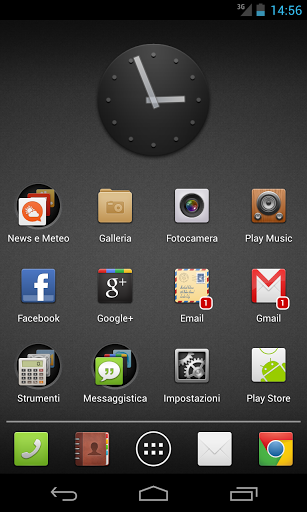 So, beside some applications icons created by me, all credits should go on the original creator: Tiheum! This package contains more than 400 application icon replacement and it’s in continuous development! 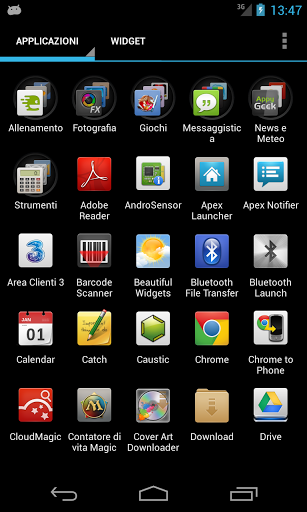 To use this theme you’ll need Go Launcher Ex, Nova or Apex launchers installed. If you find bugs, have suggestions or request please email me! If you like this project and wish to support it just give a 5 star rating! This work is released under GNU GPLv3 license!